Mix nutella with the crushed biscuits and roll into ball... if it not rolling add some more crushed biscuits. roll these in coco powder and serve. 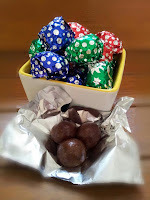 Simple yet sinfully tasty truffles are ready to serve in a minute.